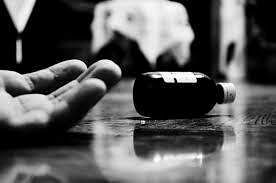 A teaching faculty of the Indian Institute of Technology, Madras, allegedly, tried to end her life at her quarters inside the college campus on December 3. She died at a local hospital on the wee hours of December 5. Police identified the deceased as Aditi Simha (48), a native of Bengaluru. She was an assistant professor in the Physics department. Simha was, reportedly, separated from her husband three years ago and lived alone at her quarter on campus. A colleague of Simha spotted her unconscious and rushed her to a private hospital where she died the on December 5 morning. Kotturpuram police have registered a case and further investigation is on. Police suspect a family issue could have driven the woman to end her life, however, they are yet to ascertain the actual cause for her suicide. Police said, Simha, was married to another professor who worked in IIT at Varanasi five years ago. (Assistance for those having suicidal thoughts is available on Tamil Nadu's health helpline 104 and Sneha's suicide prevention helpline 044-24640050).